Wishing all Vagaries' Readers "A Happy Dussehra"
Brief Report:..posted @ 10.30am Wednesday. AS-1 has deepened, and intensified into a stronger system, with core winds at 30-33 knots and core pressure calculated at 1000 mb. The upper atmosphere ridge line, originally at 12N has moved North at 14N as the High pressure ridge in the region weakened. Intense convection, with cloud height reaching 15-18 kms and cloud top temperatures at -79c, has now created a 3 level formation within the storm. Resultantly, wind shear around the AS-1 region drops drastically to 5-10 knots. As the shear is 30 knots in the North/West quadrant, it shows spiraling 30 knots winds, the maximum within the system. Hence the spiral clouds have formed. The centre is still not defined, as the shear is low near the centre. No effect on the Sub-Continent region. But later, some clouding could "spiral" into adjoining Sindh/Kutch coast by Thursday/Friday. Could now track west/NW, keeping the ridge in mind. But, Salalah in Oman and Southern shores of Oman can expect rains. Rajesh Sir and to all Vagaries reader a very "HAPPY DUSSEHRA". Really it was nice start for today with early morning rain in Badlapur. Now its an overcast with foggy & misty here. Cool and clear day here in Ghaziabad. THE DEEP DEPRESSION OVER SOUTHWEST ARABIAN SEA MOVED WEST-SOUTHWESTWARDS AND LAY CENTRED AT 0300 UTC OF TODAY, THE 24THTH OCTOBER, 2012 NEAR LATITUDE 11.00N AND LONGITUDE 59.0.0E, ABOUT 1500 KM WEST OF AMINI DIVI (43311) AND 600 KM EAST-SOUTHEAST OF SOCOTRA ISLAND(41494). IT WOULD MOVE WEST-SOUTHWESTWARDS AND CROSS SOMALIA COAST BETWEEN LAT. 9.00 AND 10.50N AROUND 1800 UTC OF 25THTH OCTOBER 2012. HOWEVER, THE DEEP DEPRESSION MAY WEAKEN INTO A DEPRESSION DURING NEXT 24 HRS. All are surprised by yesterday's rain in the plains.Nobody has predicted about the system which brought rain except IMD. Maximum temp today expected around 28c,fans are off. wishing all the readers of vagaries a very happy dussehra.panvel missed the yesterday's show and dint receive any drizzle,,just occasional thunder and lightning wid cool breeze was experienced! Last few years we notice more depressions over AS instead of Bay during NEM. This is quite unusual. TN/Rayalseema/Interior KAR requires lows to mitigate droughts. Unlike earlier years UACs over TN are not persistent for more days. Also clouding is more over the lower Indian Ocean which escapes into AS. Do we for see any cyclone/depressions over TN? OR due to western disturbances this will deviate to Bangladesh/Bengal/Orissa? OR this may end up in AS benefits Saudi? Bangalore very hot received only 10mm rain since onset of NEM. As per statistics Bangalore recorded lowest rain since Independence. Fear of desertification continues over SE interior India. It may be drizzling in Bangalore for the last few days due to the influence of North East monsoon.But,this year,has been pretty bad for the IT capital in terms of rainfall. According to weathermen,the city received only 7.2 mm rainfall in June.Surprisingly,this is the lowest rainfall recorded in Bangalore since Independence.Usually,the city registers heavy rainfall in this month.Bangalore received rainfall lower than this year way back in 1945,when it witnessed only 4.5mm rainfall. Met officials said that rainfall in Karnataka this year is 18 percent below the average.One of the main reasons for low rainfall is the absence of a low pressure area, said Meteorological department director B Puttanna. The SouthWestmonsoon ended in Karnataka last week,with the state receiving only 558.9 mm rainfall.This is the lowest SW monsoon rainfall the city has recorded since 1994. Kalyan 48 mm, Ulhasnagar 12.4 mms Thane 45 mms,Bhivandi 23 mms. Thank u & HAPPY DASERA Rajesh sir. Wishing u all vagaries readers a HAPPY DASERA. Today max temp of Badlapur was 33 C.
Temp down to 29 C as windy here in Badlapur from east with some black cloud cover but not organised yet ! Suddenly extreme thick drops sharp shower in Badlapur. 5mm rain in 5mins spell. Temp now 27 C. No lightening & thundering just was windy for half n hour from east. As expected max temp recoded at Delhi s'jng is 27.8c. sam khan: sorry for late response. For Mumbai city, i stay put with the forecast put up today morning on the right side of blog in snippt corner: Getting cloudy with thundery developmemtsin eastern sky. Yes, abhijit reports of rain in those outer rareas as well as report of some rain in Kalyan..
night Mumbai city might see some high clouds move in, no rains though..
Vagaries high today 31.9c and low 25.9c..low expected tonite 26/27c..
sam have u joined vagaries fb ? so much easier to interact.. Many blogs (india weathermen blog) are saying about no rains over TN till 31-oct-2012, depending how NE monsoon behavious. They also talk about considerable slow down of NE monsoon - west part (AS) being more volatile than Bay. What is the reason? Satellite shows more SWM rather than NEM. This is not good for TN/Rayalseema which depend only on NE monsoon. After Somalia depression, next one seems to be in pipeline - bad part being all are missing peninsular India - originating south west AS and travelling NW. Similar to 2011 during same period. Cyclonic strom over AS named as "MURJAN" as per IMD. Very unusual - needs to be seen what more suprises are in store for AS. Bad TN missed this. (requires water - every depression is useful). Today Badlapur having 22.7 C as min temp at 6am . no sir ,i haven't joined fb yet but will very soon. Pune rain amount of last night. Shivaji Nagar, IMD office, Pune recorded 17.5mm rain till 8.30am Thursday on 25/10/2012. Pashan western Suburb of Pune recorded 12.3mm in same period. Today max temp of Badlapur was 33.3 C at 2.30pm. Now its hazy and misty from 5pm onwards and also very poor visibility beyond 3kms. Some thunderheads black clouds seen in SSE direction over Matheran. Here just slight windy from SSE. 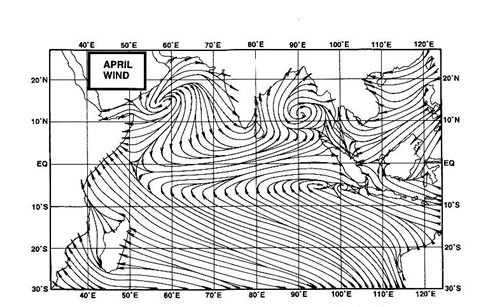 looks like another cyclone in Arabian sea. ECMWF today's run on NOV 3 rd is showing it.